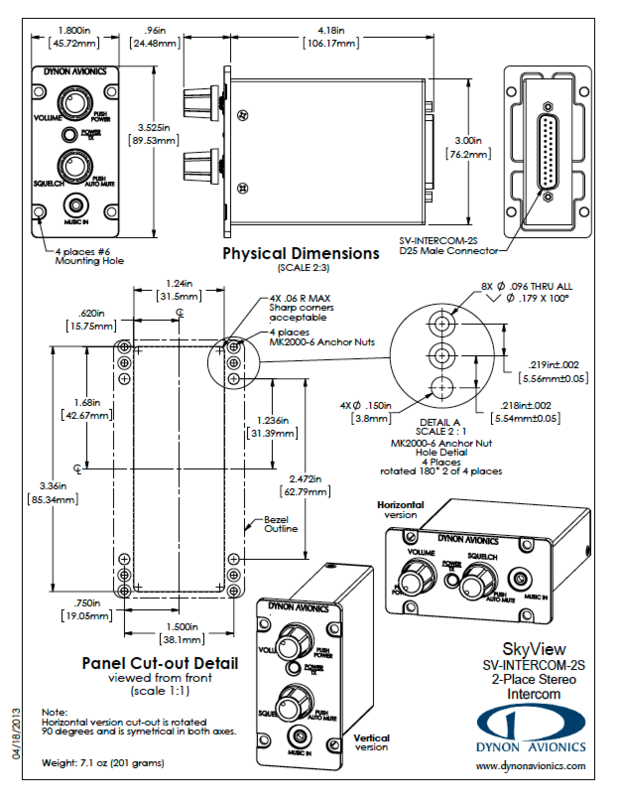 Not just for SkyView: The SV-INTERCOM-2S is for ALL experimental and light sportSV-INTERCOM-2S aircraft. High-Fidelity Audio Circuitry: No more scratchy, garbled voices. Stereo music that sounds fantastic! 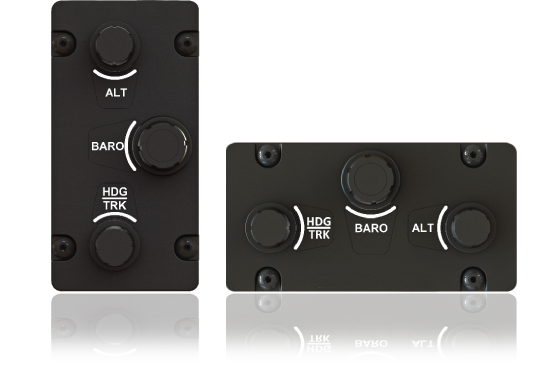 Dual Radio Support: The SV-INTERCOM-2S has dual radio outputs for the well-equipped panel. 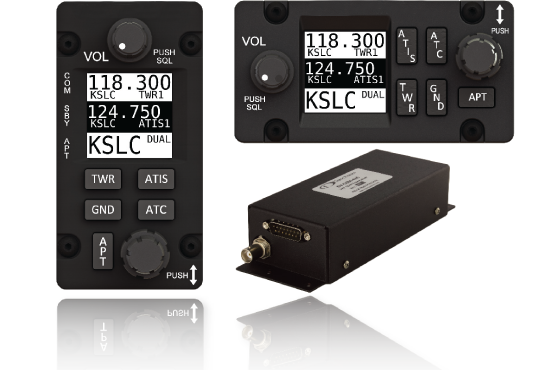 Fail-safe: Between the pilot headset and primary radio allows communication without intercom power. Horizontal and Vertical faceplates: Both included; headset jack kits also included. 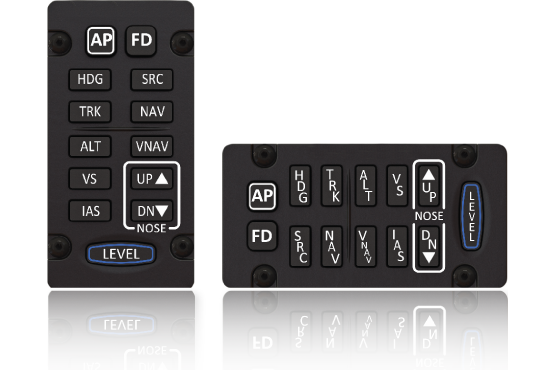 Selectable Auto Mute: Turns down the music when a radio or other non-muting input (like an EFIS alert) receives audio. A single knob press toggles whether or not intercom speech also mutes music. Independent intercom Voice Activation: Reduces background noise; talking on one headset won't open up squelch on the other. Radio broadcasts are also isolated so that only the person pressing the PTT is heard over the air. 1x stereo, differential, noise-rejecting music input, with panel-mounted music jack override. 1x mono input for additional muting source. 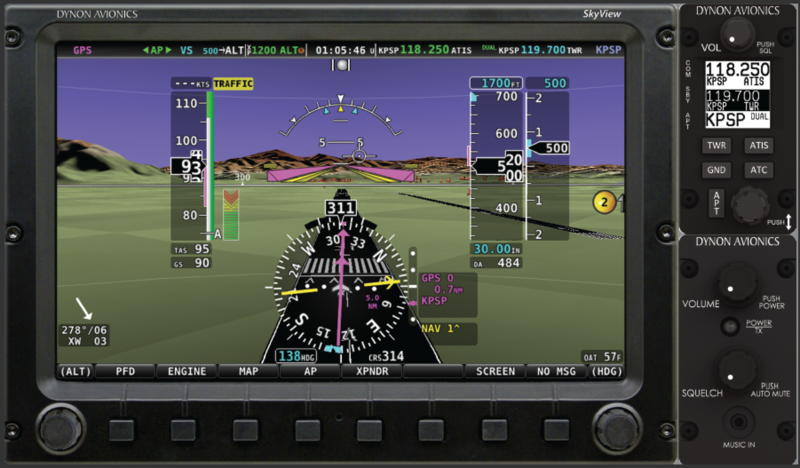 1x stereo, differential, noise-rejecting EFIS input. 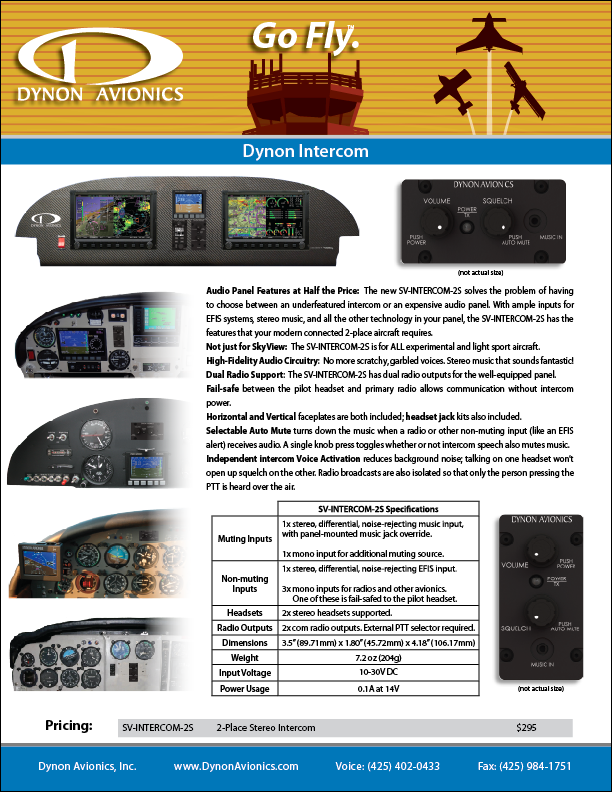 3x mono inputs for radios and other avionics. 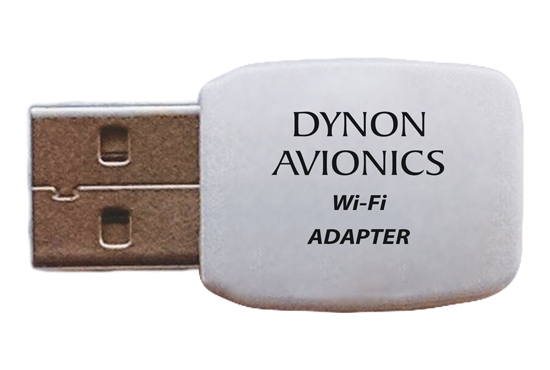 One of these is fail-safed to the pilot headset. 2x com radio outputs. External PTT selector required.